Ah...Texas. Home of seriously scary obsession of High School football and great High School mascots. 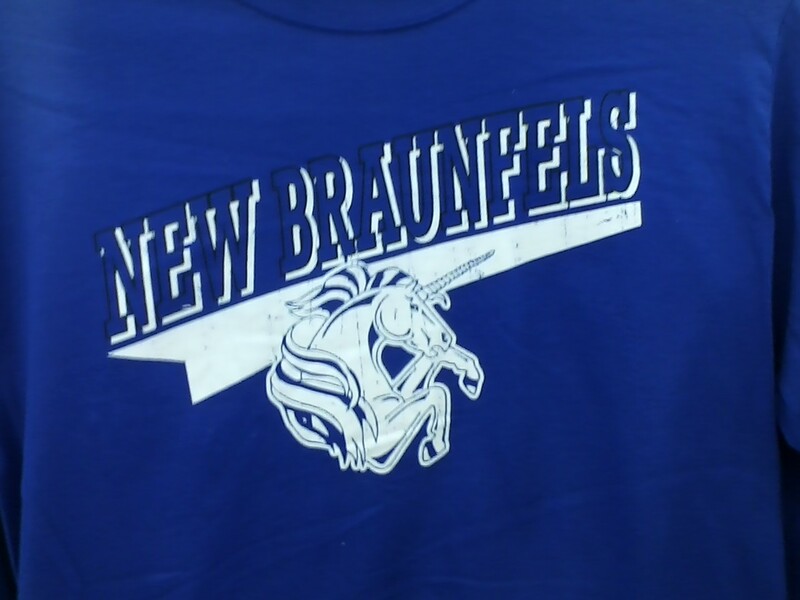 I saw the BEST mascot EVER yesterday in New Braunfels, Texas. I am not sure you can make out the picture on the left so in case you can't, here is another pictures which is a clearer indication of their mascot. Now, before too many crazed Texans send me hate mail or something, let me assure I am not making fun of this mascot. Instead, I truly think it is a great mascot. There are so many mascots that are over used across the country. 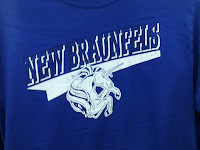 My high school mascot was a mustang. My daughter was first a lion, then was a tiger, and if she went to University of Northern Colorado she would have been a bear (oh my). She actually is now a pioneer (which is another more unique mascot). I know of schools that are bulldogs, wildcats, eagles, wolves, and on and on. I really like unique mascots and Colorado has many unique teams as well. 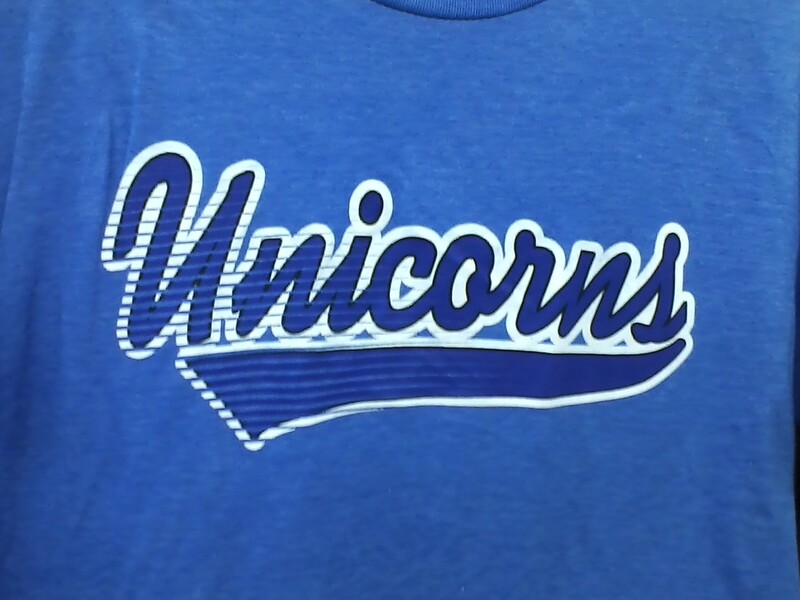 I try to find shirts with these mascots on them and wear them and support them in that manner. I am not making fun; I applaud them for their unique take on the High School mascot. 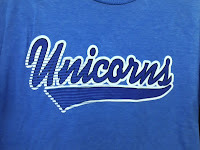 So, I like the Brush Beetdiggers, the Rocky Ford Meloneers, the Clear Creek Golddiggers, AND the New Braunsfels Unicorns! If you know of a unique High School or College mascot, please post it. I would love to hear from you.